India's Best Of 2017 According To The Google Play Store! Here's looking back at the top 5 apps, books, movies and music that India has enjoyed throughout 2017. As the year 2017 is drawing to a close, it is time to look back at the year that was. In the world of mobile apps, 1 year is almost an eternity! Thousands of apps are made every year and most of the remain unnoticed. They slowly fade into oblivion to die a painful death. But, not all. Some of them Stand out by the virtue of their uniqueness or utility. Such apps are well thought-out and equally well-made. Some of them have a beautiful user interface, while some are just utilitarian. So what we are trying to say is that an app can be most-downloaded or best-rated for any number of reasons. But, Google Play Store does not offer only apps. It also offers other high-quality content in the form of books, movies and songs. Let us now take a look at the apps, games, books, movies and songs which were trending in India and which Google thinks are the best of 2017. It is worth noting that Google considers only the apps, movies, books and music that were released in 2017 for this list. In a related story, Hotstar was named as the “Most Entertaining App” of the year, being the likes of Netflix and Amazon Prime to take the top spot. It is also the first Indian app to cross 100 million downloads in the Play Store. It is not surprising since Hotstar places an emphasis on Indian content and regional languages. There were some surprises in the lists as well. Let us take a look at the rest of the top 5 from each category. This is not a surprise at all. In a selfie-crazy nation like ours, it makes sense that the no. 1 app is a camera and image editing app. 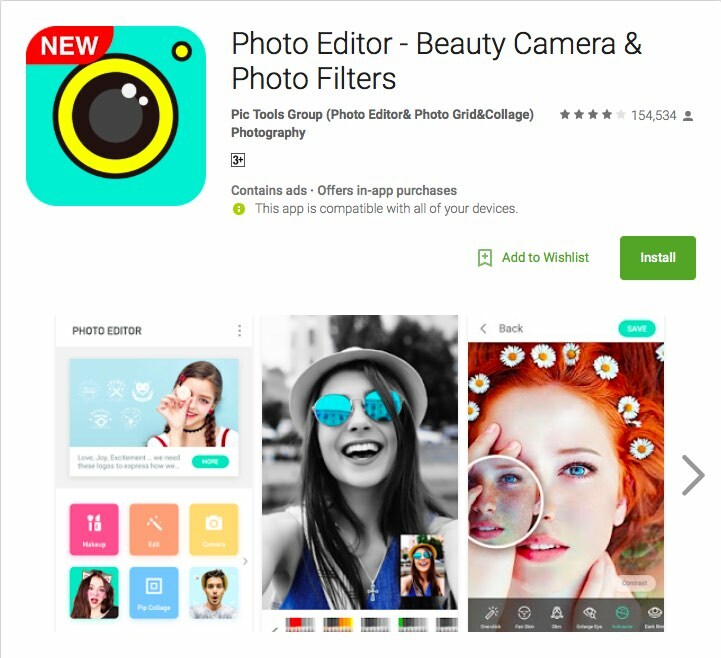 It is one of the two camera apps in the top 5 apps, the other one being Selfie Camera at no. 3 spot. ALTBalaji app has made it to the list at no. 4 on the merit of some good Indian content. Paytm Mall app has rode in at no. 5 on the wave of cashbacks and offers made during festival sales while Messenger Lite took the no. 2 spot to complete the list of top 5 apps in India for 2017. 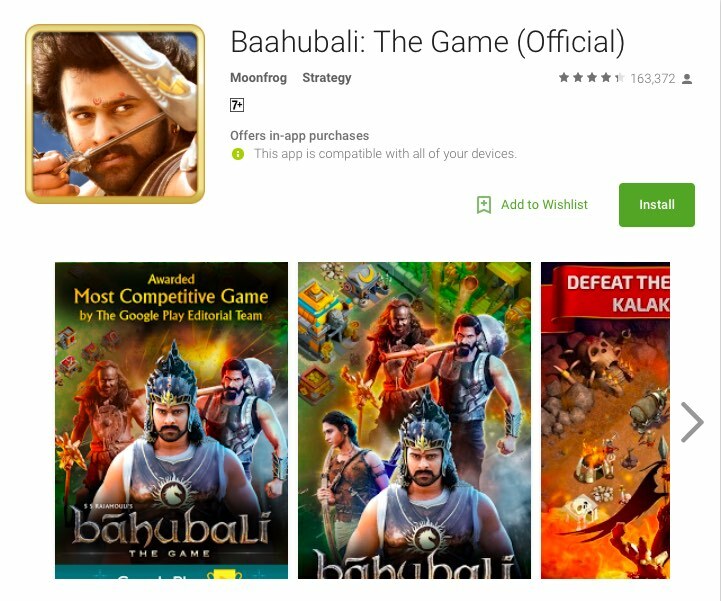 After the movie, Baahubali is still ruling the hearts of people in the form of a game. So much so that it has surpassed biggies like WWE and Mario Run to take the #1 spot. It is a strategy game which demands complete involvement. Role playing games are gaining popularity in our country, as can be seen by the inclusion of the WWE RPG game in the list. Though it doesn’t have the charm of the original, Mario Run has made it to the list piggybacking on nostalgia. Dr. Driving 2, which is a driving simulator and Pokémon Duel, which is a strategy board game complete the list of top 5 most popular games in India for 2017. India loves Bollywood. It is evidenced by the fact that there are 2 filmy biographies in the top 5 books that were read in India in 2017. 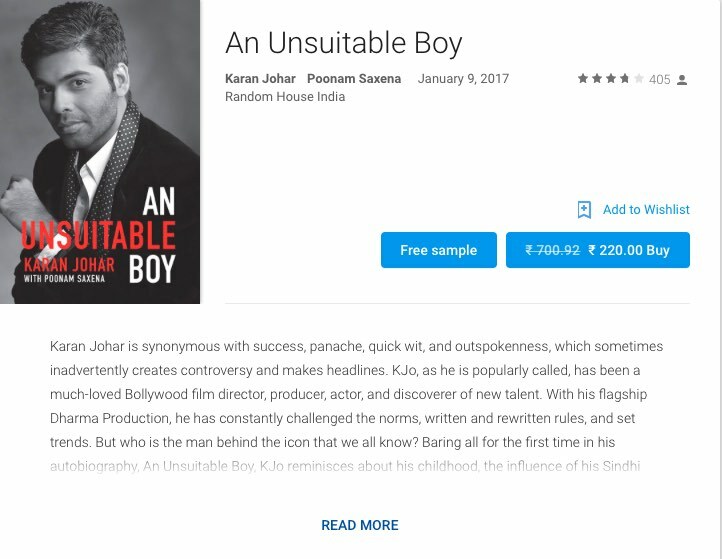 Karan Johar grabbed the top spot with his “An Unsuitable Boy”, while “Khullam Khulla: Rishi Kapoor Uncensored” took the no. 3 position. India was also interested in economics and national development. “India 2017” was on the second position, and Raghuram Rajan’s “I Do What I Do” took the fourth spot. India’s spiritual side shone with the inclusion of “Adiyogi: The Source of Yoga” at the fifth position. This one is a surprise. 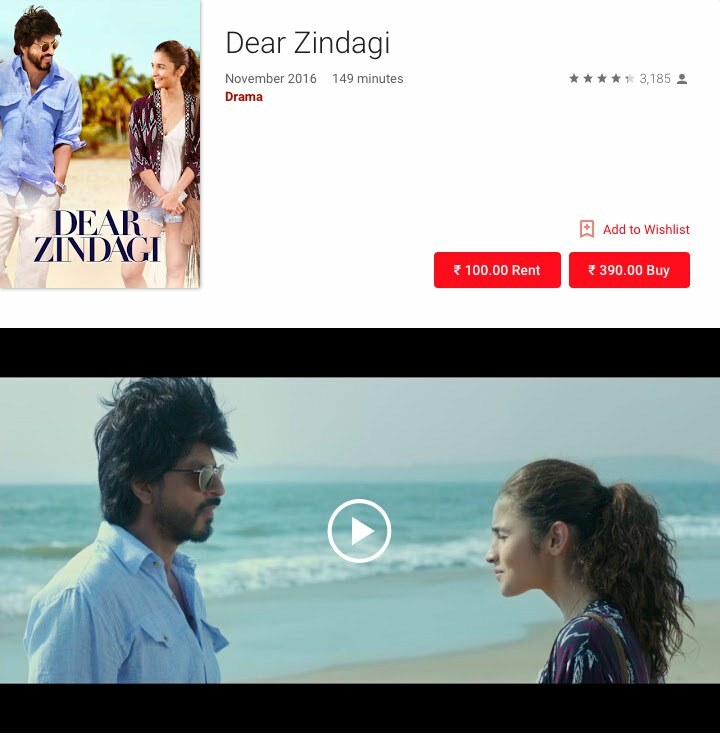 “Dear Zindagi” was the no.1 watched movie on Google Play Store in India. Sadly, it is also the only Indian movie in the list. Animated movies “Moana” and “The Boss Baby” have also made it to the list at positions no. 2 and 4 respectively. Rivals DC and Marvel have also made it to the list. DC’s “Wonder Woman” is at no. 3 and Marvel’s “Doctor Strange” completes the list at no. 5. 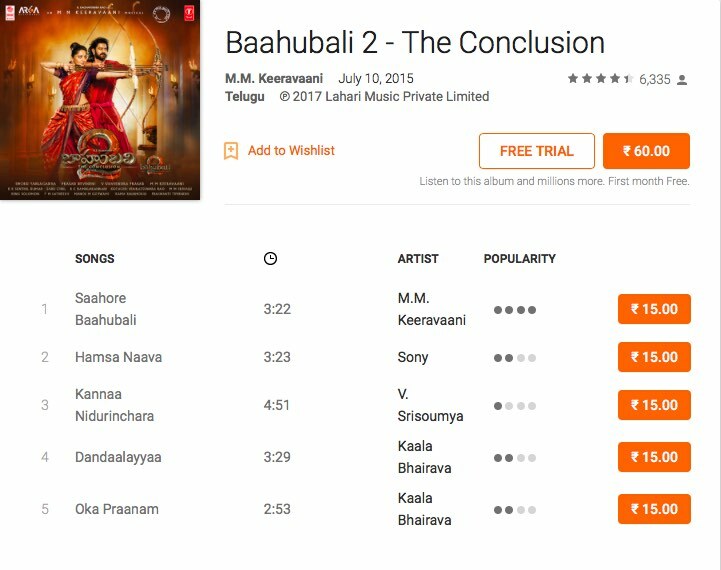 It was Baahubali yet again which took the top spot in songs with “Saahore Baaahubali”. Arijit Singh’s “Ik Vaari Aa” grabbed the second spot, while his other song “Main Tera Boyfriend” was at the fourth spot. Badshah’s catchy tune “Mercy” made it to the third spot and Neha Kakkar’s melodious voice completes the list with a revival of “Tu Cheez Badi Hai Mast Mast” at the fifth spot. "India's Best Of 2017 According To The Google Play Store! ", 5 out of 5 based on 1 ratings.